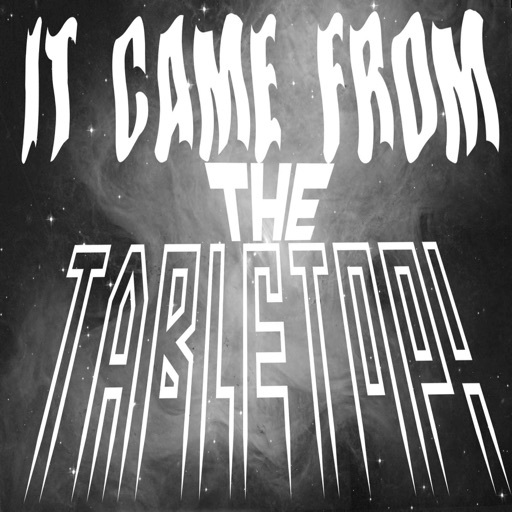 Best Episodes of It Came From the Tabletop! It Came From the Tabletop! Two board games enthusiasts talk about what they just played. All the woodland creatures come out to hear Josh and Al talk about Root, the enormously popular game of cute animals and brutal warfare. Afterwards they play Legendary: Buffy the Vampire Slayer and run through their favorites from the deckbuilding series. This week we talk about Josh's all-time favorite game. The one, the only...TWILIGHT IMPERIUM. This episode is all about MONSTERS! First we talk about Monster Slaughter, a great big box of plastic that completely took us by surprise. Then we lift the veil on a game we've been designing, currently called "The Kaiju Project." Shameless self promotion ensues. This week Al and Josh revisit Alan R. Moon's Andromeda and make their first explorations in Reiner Knizia's Blue Lagoon. Josh and Al check into The Bloody Inn and find themselves in over their heads as the bodies pile up. They get out when they climb into their giant space mechs and unite the clans in Starship Samurai! Josh and Al hit the black this week and talk about Firefly: The Game from Gale Force 9. Shiny! Josh and Al delve into the Fireball Island expansions and round out the night with Reiner Knizia's The Quest For El Dorado. This week Al and Josh played Fireball Island:Curse of Vul-Kar, Goldland, and talked about which games they like to play with their families. As Josh and Al recover from a busy weekend of playing games, they talk about two of their favorite empire building/4X games. Join Josh and Al as they run down what they played on "Spooky Game Saturday," featuring Fury of Dracula, Nyctophobia and Camp Grizzly. Happy Halloween! © 2019 OwlTail All rights reserved. OwlTail only owns the podcast episode rankings. Copyright of underlying podcast content is owned by the publisher, not OwlTail. Audio is streamed directly from Josh Look servers. Downloads goes directly to publisher.